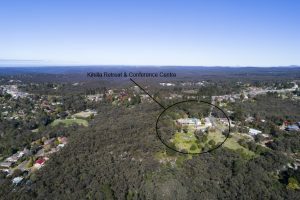 Kihilla Retreat & Conference Centre is located in Lawson, within the Greater Blue Mountains World Heritage Area. It is within easy reach of the many world famous features of this incredible region. Within a short 15 minute drive, you can visit The Three Sisters, the Valley of the Waters in Wentworth Falls, Leura Cascades, Bridal Veil Falls in Katoomba, Everglades Garden, the historic Carrington Hotel for a wonderful high tea, the world’s steepest railway at Scenic World and much, much more. Slightly further afield you’ll find even more delights, including the Hydro Majestic, Kanangra Falls, the beautiful Megalong Valley, Govett’s Leap Lookout and Mt Wilson Botanical Gardens. There is also plenty to enjoy within our surrounding area, including some great restaurants and coffee shops within walking distance and easy access to public transport. Local Bush Walks: Perched above the Grose River valley, with views across to Kurrajong, Richmond and the City, Kihilla is close to easy grade walking trails with sections of the Blue Mountains National Park only 1.5 km away. Lawson also has a number of fantastic local walking trails to Cataract Falls (South Lawson) and to Frederica Falls (North Lawson), both are well marked and venture through native bushland and along cool creek beds. Horseshoe Falls, Oaklands Road, Hazelbrook. 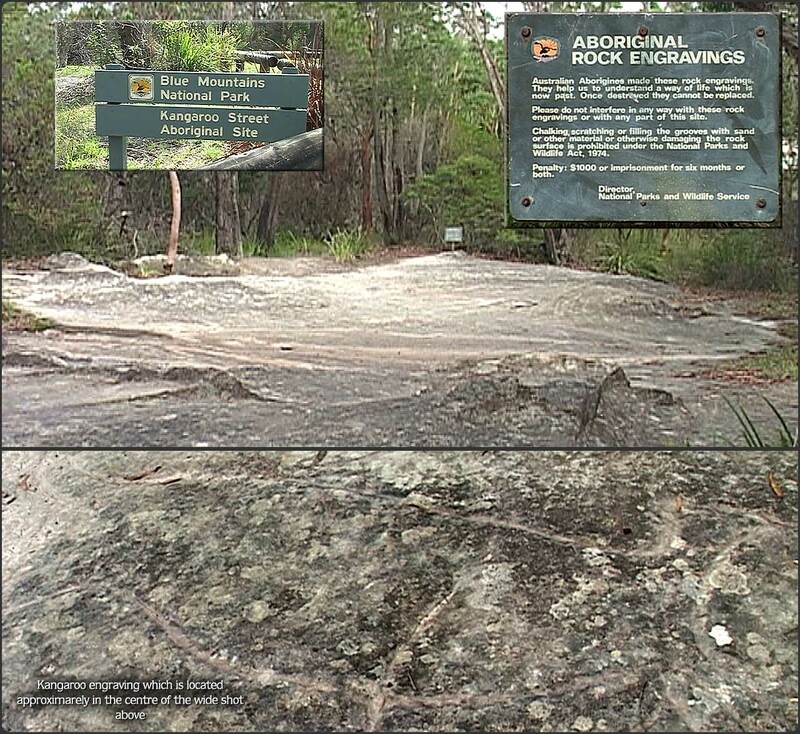 Indigenous Places Walk: The section of mountain between Linden and Bullaburra has been said to be a gathering place for generations before the explorers trudged up here. Historians believe that this area was an inter-tribal area between tribal boundaries and could’ve been used for customs. 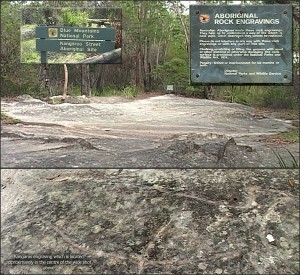 Sites close to the property include rock carvings (Kangaroo St) and some local water wells. Sport and Recreation: Gloria Park is only 400m away through a bush track from the site. These council facilities include soccer fields and tennis courts, with playground and toilet facilities. Please contact the local council for any questions regarding bookings on (02) 4780 5000. The Lawson Olympic Pool is also open during the summer months. Mountain Bike trails: The Mid Mountains has a number of fire trails that make for great trail rides. Mountain bikes and maps can be hired from Blue Mountain Bikes at Woodford. Group tours can also be organised on (02) 4758 8058. Bush Regeneration: Kihilla has 25 acres of which the majority is semi-open bushland. Two watercourses run through the property and both require regeneration efforts to care for and restore the natural environment. 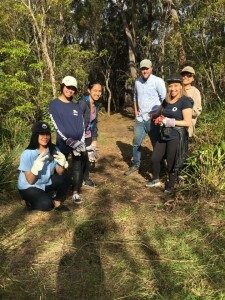 This process requires the removal of introduced species and the planting of native trees to provide natural habitat for local flora and fauna. Kihilla has a LandCare project running supported by Local council each month and group education can be organised. Lower Blue Mountain Kayaking: There are a number of tours that provide great excursions exploring the Nepean River through the lower Blue Mountains. Check out some local tour operators: http://www.lifesanadventure.com.au/, who do other tours in the Blue Mountains areas also.